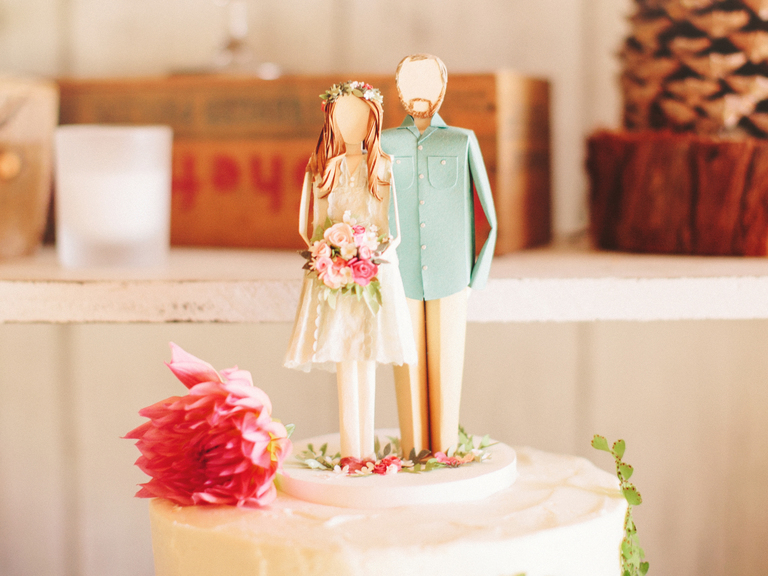 While prenuptial agreements aren't nearly as fun to think about as wedding cakes or honeymoons, they can help you avoid financial issues later in life. Some couples might feel as though a prenup has a divorce stigma attached to it, but it can actually be a great opportunity to get on the same page for planning your future together. To help lay it all out for you, we consulted Sandra L. Schpoont, family and matrimonial law attorney and partner at Schpoont & Cavallo LLP, and Robert Wallack, celebrity divorce attorney and founder of The Wallack Firm, which specializes in matrimonial and family law matters. Simply put, a prenuptial agreement (also known as a premarital agreement or antenuptial agreement) is a contract that a couple signs before getting married to figure out their finances in case of a divorce. "Prenuptial agreements cover how a couple splits their finances, what each party's separate property is (what they come into the marriage with) and how they would split their home," Schpoont says. "It can delineate how they'd divide up marital property, including marital debt -- so what they have, but also what they owe -- and it can also state how long a spouse or children can stay in a marital home during a divorce." One other important piece to note is that prenups cannot include child custody or child support matters, since it's actually against public policy to do so. Legally speaking, in that case, a court will have the final say about what's best for the child. That said, if you're planning to get a prenup, it's incredibly important to understand that each state has its own set of different laws regarding divorce. For example, New York is referred to as an equitable distribution state. That means if a couple gets divorced, their marital assets will be divided using an equitable distribution method -- assets will be divided between spouses in a fair and equitable way, with a variety of factors considered. California, on the other hand, is referred to as a community property state, which means that any marital property (property earned or acquired during the marriage) is divided equally in the case that there isn't a prenup in place. That's sort of a long way of recommending that you should consult an attorney in your state to find out the legal terms. So, Should You Get a Prenup? It's really up to you. A contractual agreement that covers you in the event of a divorce might sound practical, but it could add a touch of temporariness to your marriage before it has even begun. But that said, the answer depends on whom you are, your past and what's important to you. 1. At least one of them has been married before. Some circumstances may be different than they were in the first marriage. If you're bringing certain assets into a new marriage, like child support and multiple properties, you may want to ensure they don't get tangled in any other finances. A prenup can establish what should be left to your children, and also make sure that previous and current family members have a financial plan in the case of death. "People still should have wills, but prenups can provide those intentions from both parties during marriage," Schpoont says. 3. One person is much wealthier than than the other. You may want to protect your assets if you come into the marriage with a higher financial worth than your spouse. 4. One person has a lot more debt than the other. If your partner has debt or acquires extreme debt during your marriage, you probably don't want to take that on in the case of a divorce. 5. One or both people are small business owners or entrepreneurs. Protecting your own investments can be important if you own a closely held family business, a business with your name on it, or a business with other people. 6. They want to ensure their finances and marriage remains private. Nobody wants their personal matters to be leaked to the public, and a prenup can ensure that that won't happen. "A confidentiality clause is now becoming standard in many prenups," Schpoont says. "It makes sure that neither party could disparage the other on social media, television, in any publication (including a memoir) or publicize any negative aspects of their marriage or financial or personal lives." 7. They were engaged for a very short period of time. Some couples meet and get married quickly, so a prenup is good if you don't know each other that well. Other couples don't want to talk about it while wedding planning and instead sign a postnuptial agreement after the marriage is legalized. (You can get a postnup anytime after you get married, or make amendments to your prenup after the wedding that can change it into a postnup, Wallack notes). 8. One person doesn't or doesn't plan to work. If one party will be staying at home to raise a child, for example, the couple can agree on financial provisions so the party in question (not the child) can have a financial plan in the event of a divorce. And if you're still on the fence about signing a prenup, we recommend seeing a marriage counselor to talk through any issues, or confide in others going through the same thing on our community boards. While we're not saying you have to get a prenup, we do know a lot of couples who have confidently signed them and are still happily married. How Can I Stop Relatives From Pressuring Me to Invite Certain Family Members?